Original eResource to help you increase funding,expand visibility,and continuously improve operations. 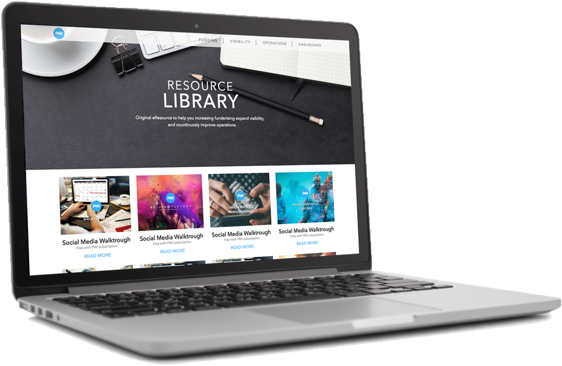 PWI Resources is a dedicated library is full of ebooks, marketing material, and walkthroughs, specifically created to give you and your team new ways to raise more money, get more visibility, and improve your operations. PWI is constantly adding new ebooks designed specifically to help guide nonprofits’ strategies in their areas of greatest need. PWI’s content and marketing teams worked to create email and social media templates that you can use to tell your supporters about any PWI products that you use. You can even suggest resources, and we will find thought leaders and partner with them to make an ebook or template that helps answer any questions you may have! We know that working for a nonprofit, you are probably taking on responsibilities outside of your area of expertise. It probably feels daunting at times, trying to do the great work you were born to do while also remembering that you need to raise money, get volunteers, post on Facebook and Twitter, send a mailer, and countless other things! So many of the nonprofits we work with are just like you. They have great missions to share, but aren’t equipped with the most updated resources, especially when it comes to fundraising, gaining visibility, and improving their business operations. Instead of feeling like you are wasting your time researching and experimenting with many different strategies and hoping for the best, feel free to use PWI Resources, which have been carefully crafted for you by our content and marketing teams based on what we have proven to work and have significant impact on thousands of people just like you! Visit projectworldimpact.com/register to get started today!